Also largest part of the n-th region of the set of partitions of j, if 1<=n<=A000041(j). 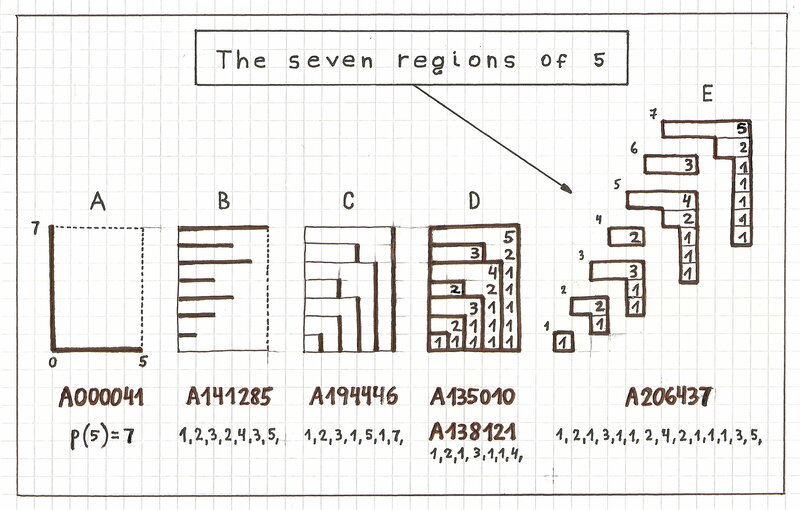 For the definition of "region of the set of partitions of j" see A206437. Also triangle read by rows: T(j,k) is the largest part of the k-th region in the last section of the set of partitions of j. For row n >= 2 the rows of triangle are also the branches of a tree which is a projection of a three-dimensional structure of the section model of partitions of A135010, version tree. The branches of even rows give A182730. 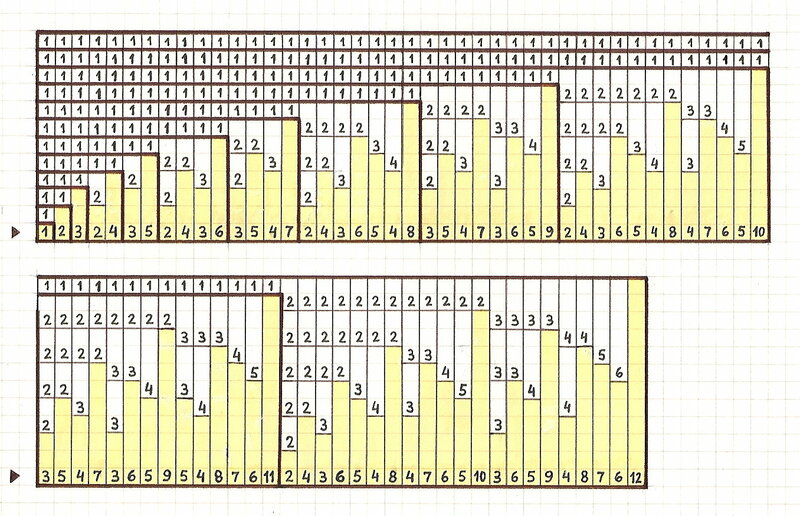 The branches of odd rows give A182731. Note that each column contains parts of the same size. It appears that the structure of A135010 is a periodic table of integer partitions. See also A210979 and A210980. 2 = p(2) 2 . 5 = p(4) 4 . 11 = p(6) 6 . Where records occur give A000041, n>=1. Column 1 is A158478. Row j has length A187219(j). Row sums give A138137. Right border gives A000027. Cf. A000041, A135010, A182730, A182731, A182732, A182733, A182982, A182983, A182703, A193870, A194446, A194447, A194550, A206437, A210979, A210980, A211978, A220517, A225600, A225610.